For centuries, skin color has held powerful social meaning — a defining characteristic of race, and a starting point for racism. “If you ask somebody on the street, ‘What are the main differences between races?,’ they’re going to say skin color,” said Sarah A. Tishkoff, a geneticist at the University of Pennsylvania. On Thursday, Dr. Tishkoff and her colleagues showed this to be a profound error. In the journal Science, the researchers published the first large-scale study of the genetics of skin color in Africans. The researchers pinpointed eight genetic variants in four narrow regions of the human genome that strongly influence pigmentation — some making skin darker, and others making it lighter. These genes are shared across the globe, it turns out; one of them, for example, lightens skin in both Europeans and hunter-gatherers in Botswana. The gene variants were present in humanity’s distant ancestors, even before our species evolved in Africa 300,000 years ago. The widespread distribution of these genes and their persistence over millenniums show that the old color lines are essentially meaningless, the scientists said. 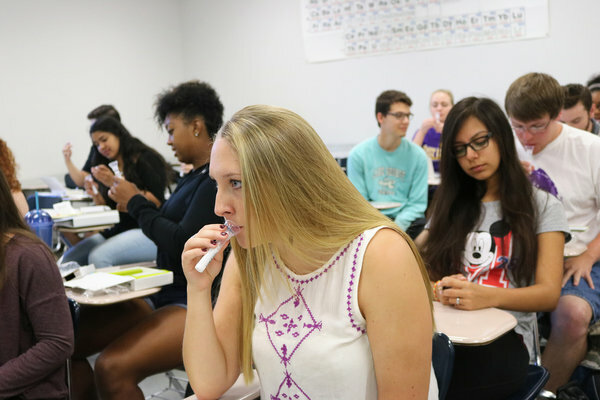 The research “dispels a biological concept of race,” Dr. Tishkoff said. Humans develop color much as other mammals do. Special cells in the skin contain pouches, called melanosomes, packed with pigment molecules. The more pigment, the darker the skin. Skin color also varies with the kind of pigments: Melanosomes may contain mixtures of a brown-black called eumelanin and a yellow-red called pheomelanin. Since the early 2000s, Dr. Tishkoff has studied genes in Africa, discovering variants important to everything from resistance to malaria to height. African populations vary tremendously in skin color, and Dr. Tishkoff reasoned that powerful genetic variants must be responsible. One variant, MFSD12, was particularly mysterious: No one knew what it did anywhere in the body. To investigate its function, the researchers altered the gene in reddish lab mice. Giving them the variant found in darker-skinned Africans turned the mice gray. As it turned out, MFSD12 can affect the production of brown-black eumelanin, producing a darker skin color. The eight gene variants that Dr. Tishkoff and her colleagues discovered in Africans turned out to be present in many populations outside the continent. By comparing the DNA of these people, the researchers were able to estimate how long ago the genes appeared. They turned out to be immensely old. A variant for light skin — found in both Europeans and the San hunter-gatherers of Botswana — arose roughly 900,000 years ago, for example. Even before there were Homo sapiens, then, our distant forebears had a mix of genes for light and dark skin. 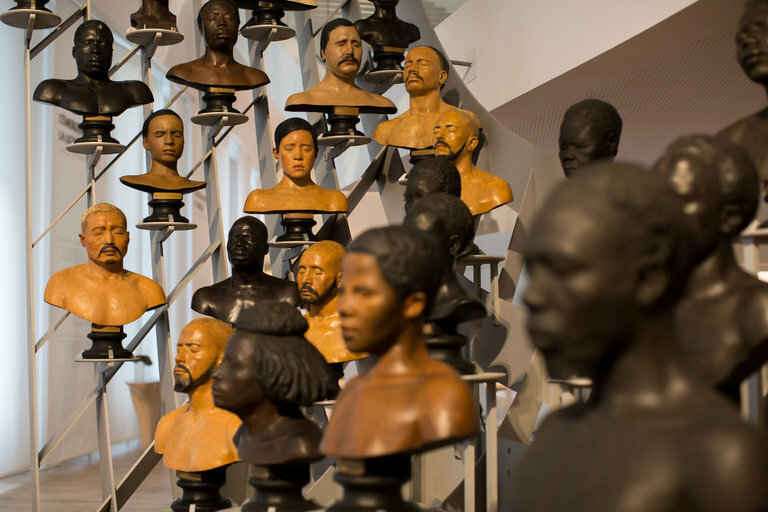 Some populations may have been dark-skinned and others light-skinned; or maybe they were all the same color, produced by a blend of variants. Neanderthals split off from our own ancestors an estimated 600,000 years ago, spreading across Europe and eastern Asia. While they became extinct about 40,000 years ago, some of their DNA has survived. These hominins inherited the same combination of variants determining skin color, Dr. Tishkoff and her colleagues also discovered. It’s possible that some populations of Neanderthals, too, were light-skinned, and others dark-skinned. Living humans come packaged in a wide range of hues — from pale and freckly in Ireland to dark brown in southern India, Australia and New Guinea. Researchers have argued that these varying colors evolved partly in response to sunlight. The idea is that people who live with intense ultraviolet light benefited from dark color, pigments that shielded important molecules in their skin. In places with less sunlight, people needed lighter skin, because they were able to absorb more sunlight to make vitamin D.
The new genetic evidence supports this explanation, but adds unexpected complexity. The dark-skinned people of southern India, Australia and New Guinea, for example, did not independently evolve their color simply because evolution favored it. They inherited the ancestral dark variants Dr. Tishkoff’s team found in Africans. “They had to be introduced from an African population,” said Dr. Tishkoff. Yet the same is true for some genes that produce light skin in Asia and Europe. They also originated in Africa and were carried from the continent by migrants. As Africans moved into Europe and Asia, they interbred with Neanderthals on several occasions. Last week, Michael Dannemann and Janet Kelso of the Max Planck Institute for Evolutionary Anthropology in Germany reported that people in Britain still carry a number of Neanderthal variants that color skin. Some of the newly discovered genes appeared relatively recently in our evolution. The pale-skin variant of SLC24A5 that’s overwhelmingly common in Europe, for example, is a recent addition to the genome, arising just 29,000 years ago, according to the new study. It became widespread only in the past few thousand years. Dr. Tishkoff and her colleagues found it frequently not just in Europe, but also in some populations of lighter-skinned Africans in East Africa and Tanzania. Studies of ancient DNA recently discovered in Africa point to an explanation. Several thousand years ago, it seems, a migration of early Near Eastern farmers swept into East Africa. Over many generations of interbreeding, the pale variant of SLC24A5 became common in some African populations. In all, the new study provides “a deeper appreciation of the genetic palette that has been mixed and matched through evolution,” said Nina Jablonski, an expert on skin color at Pennsylvania State University. Please note: Missouri is one of our states that celebrates Multiracial Heritage Week. Race and identity in many ways define who we think we are, while modern genetics can challenge those notions. To delve into these issues, I am involved with a communications studies project at West Chester University in Pennsylvania that explores narratives at the intersection of race and identity. For the last decade, I have invited hundreds of people to be part of ancestry DNA tests. But first I ask people how they identify themselves racially. It has been very interesting to explore their feelings about the differences between how they define themselves and what their DNA makeup shows when the test results come in. Not surprising, some volunteers came up with stereotypes like “I thought my biological father might be black; I heard he liked basketball,” or “Wow, a little Asian; that’s why my son is good at math!” Some had hoped the DNA tests would allow them to challenge prejudices in their own families. But inside each comment was a longing to find out more. And a long-term, ever-deepening conversation began. What started out as a curiosity turned into a study. My colleague Bessie Lee Lawton and I began our collaboration in 2012, and a more rigorous protocol was established. Statistical analysis was done to look for patterns not easily gleaned from individual stories. Speaking in generalities, we found that women were more flexible about their racial identity than men; that people of color expected diversity in their backgrounds more than people of European ancestry; and that younger people were more open to diversity than older ones. People of European background tended to have more anxiety, before and after the test. Keep in mind that analyzing a person’s ancestry through DNA, means looking back hundreds of years. People receive only half of their DNA from each parent, and therefore the race or identity of either parent may be too diluted to show up in these tests. As a black girl growing up in the 1960s, I often felt race undermined me. I was expected to love Motown, but not ballet. I was praised for speaking standard English, but my interest in the sciences was never appreciated and certainly not cultivated. Random doors opened; others closed. It took me 10 years before I tested myself. What I found both confirmed and shook my perspective. My background included African heritage from the Gold Coast, including Nigeria and Ghana, intermingled with British and Scandinavian. I suspect this reflects the impact of the brutal Viking Age and later the English in the slave trade. I have a smattering of Asian genes, most likely from indigenous Americans crossing the Bering Strait. For Americans, about 4 percent of our ancestry traced to Asia may actually reflect Native American roots. However, my grandfather shared with me years ago that in his birthplace of Mobile, Ala., his earliest memories were of Chinese merchants living alongside poor black folks like him. So who knows? Today I look at faces, even my own, with new recognition. I see that people regularly share narratives that miss something their physical features suggest, and sometimes we find ancestry that we would not have imagined. It is a new twist on an old narrative made possible by cutting-edge science. The conversation is complicated and jagged, and it mercifully undermines neat, simplistic stories. Over the last 11 years, more than 2,000 people have taken part in our DNA ancestry project. Below are the stories from a handful of them. Superiority of mixed-race people?? HUH? Though Ziv has described his work as a factual, objective”biology book”backed by peer-reviewed studies, it’s a book promoting eugenics for the modern age. Traditionally, when we think about eugenics, we’re thinking about the problematic theories that were once used to justify anti-miscegenation laws, segregation, and the forced sterilization of minorities. For decades here in the U.S., social norms and policies rooted in eugenic ideology played a major role in the disenfranchisement of and discrimination against people of color who were considered genetically inferior to white people. Though the book’s a decade old, it recently went into its second edition with a brand new cover photo and a vastly different social media landscape full of people who couldn’t understand why Barricade, the book’s publisher, would deign to put the book out again. Author Daniel José Older took to Twitter (which wasn’t really a thing back in 2006) in disbelief. View image on TwitterOlder wasn’t alone in his criticism of Ziv’s newly-republished book. Others felt that while feigning to be in favor of the well-being of people of color, Breeding Between the Lines was, in fact, inexorably tied to racist ideology. Breeding Between the Lines‘s thesis stands on the other end of the traditional eugenic spectrum with its assertion that multiracial people are inherently superior. From his perspective, the fact that mixed race people are also people of color means that there’s nothing wrong with saying that someone of mixed race is “better” than their peers. What Ziv seemingly fails to recognize, though, is that that the ideas he’s advocating have a lot to do with the long history of valuing minorities with genetic connections to white people over those who don’t. In her video “The Many Problems With, ‘I Want Mixed Babies,’”Franchesca Ramsey explains the many ways that society has a creepy and dangerous tendency to fetishize the children of interracial relationships. In many cases, fawning over a mixed person’s “good hair” or theirpretty blue eyes, can be interpreted as saying those physical traits somehow make them a more acceptable (or superior) version of other people from their ethnic backgrounds. This book hides behind cherry-picked studies to substantiate arguments. One of Ziv’s points about multiracial people being more attractive is built upon the idea that humans objectively find symmetry to be aesthetically pleasing. A 2002 study conducted by UCLA Assistant Adjunct Professor of Biology Jay Phelan attempted to scientifically “prove” that biracial people were more prone to being symmetrical and, subsequently, more attractive. After splitting a group of 99 students into groups according to whether or not they were biracial or “uniracial,” 30 people rated their attractiveness . While the experiment proved his hypothesis, it failed to account for a number of important factors influencing the study’s findings. The idea of a “uniracial” person is absurd. 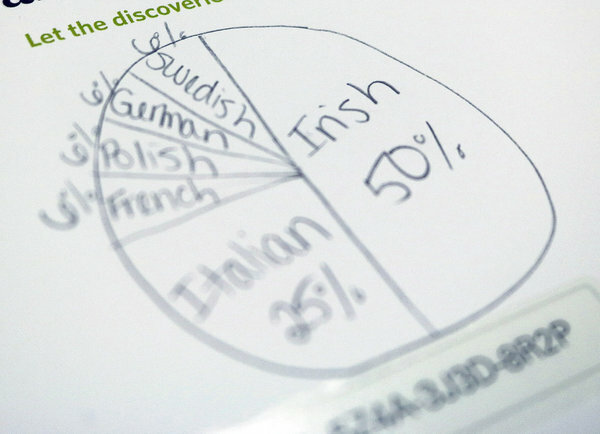 Though people may identify as black, white, latino, or Asian, each of those racial groups are comprised of people with genetic connections to multiple ethnic groups from various regions. The experiment treated subjects as racial monoliths that could all be grouped together by particular physical traits. What’s more, unless the study’s participants were explicitly told to gauge a person’s attractiveness based solely on the symmetry of their faces (and given the tools to measure said symmetry), there’s no way to account for the many other things that influenced how participants judged the photos. Here’s to hoping that clinging to eugenics doesn’t work out too well for him. The Pew Research Center is the premier group that gathers and analyzes data in America. Many of us trust Pew. They have been good to the multiracial community. For example, they came out recently with a big report called “Multiracial in America.” Good times. We gave them big thumbs up. So far so good; but then they go into their six methods. Method 4: Census Measure with Parents’ and Grandparents’ races. See Method 3 plus what about people who were adopted and know nothing of their grandparents’ races. Result 16.6%. Method 5: Point Allocation Measure. Multiracial adults were given 10 “identity points” to allocate themselves across racial or ethnic categories. What? Are we back to octoroons and quadroons of past slavery days? Let’s not forget that a fraction by any other name is still a fraction. I would call this an ineffective method that is an affront to the multiracial community despite the resulting 12%. We like Method 6 best, with our slight alteration, even though it doesn’t result in the highest number of multiracial responses it’s clear, simple, and probably the most accurate. It seems that everyone I know is reading or re-reading To Kill a Mockingbird by Harper Lee, whose next book, Go Set a Watchman is now out.